This very dangerous enemy is slow, resilient and powerful. 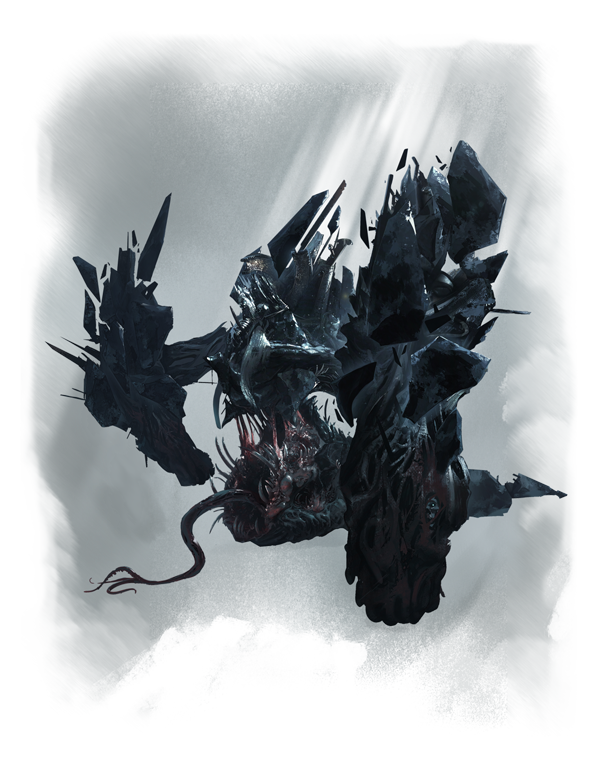 It walks using his two “arms” made of stone and dragging some kind of monstrosity as a lower body. This bag can extend its tongue to a great distance to snag its prey, dragging them right in front of the mouth where the victim is in a perfect position for a devastating attack.